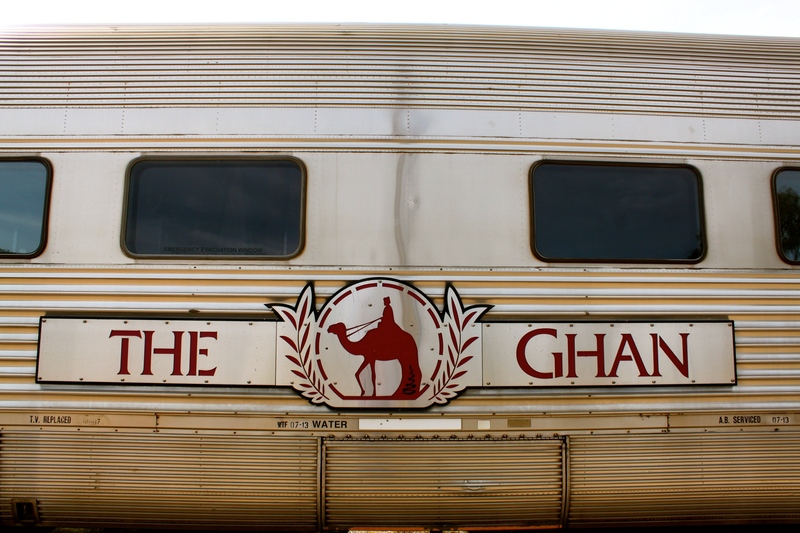 After a very quick look at Adelaide, I couldn’t wait to finally board the train – The legendary Ghan – for the 20 hour journey to the red centre. 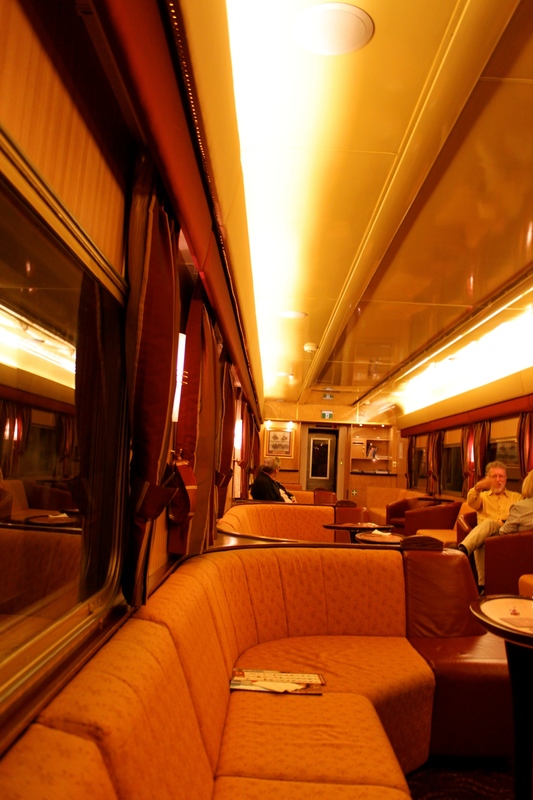 I opted for the Gold Service – extravagant, perhaps, but I’m only doing this once – and we were allowed to board our cabins 90 minutes before the train departed. 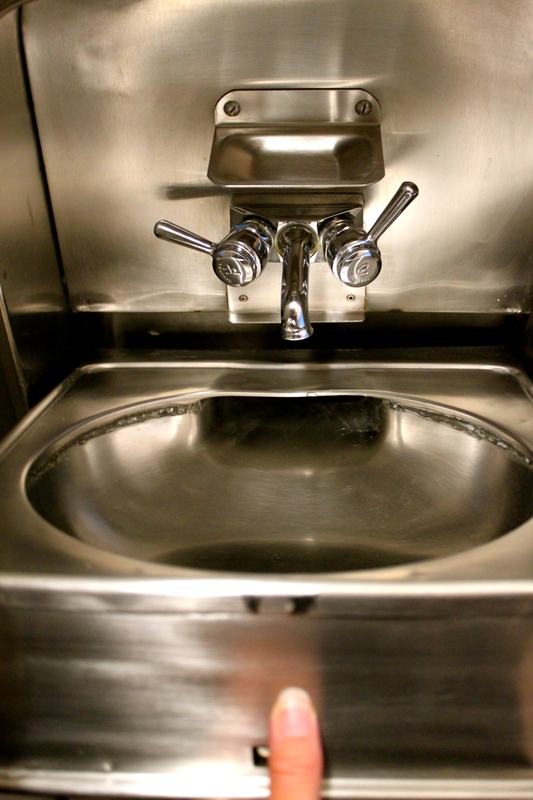 This is no normal train – you have to check in 2 hours beforehand, just like a plane. 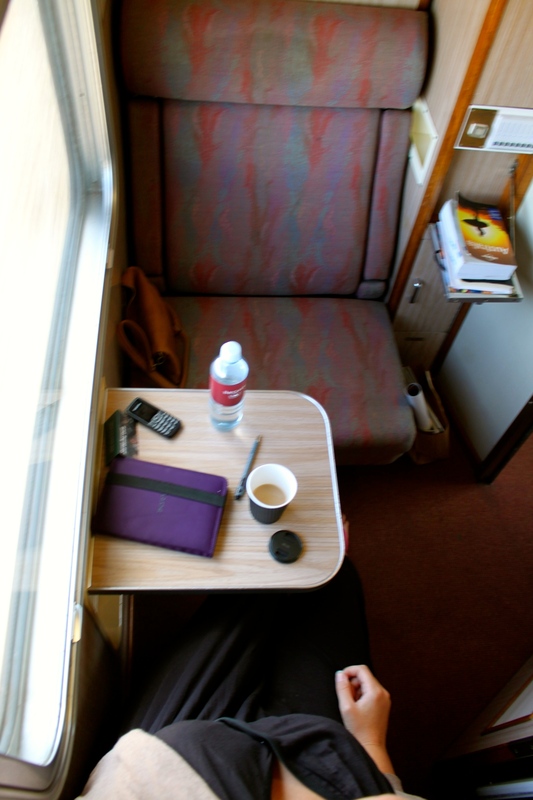 Inside the single berth cabin car it is very retro. 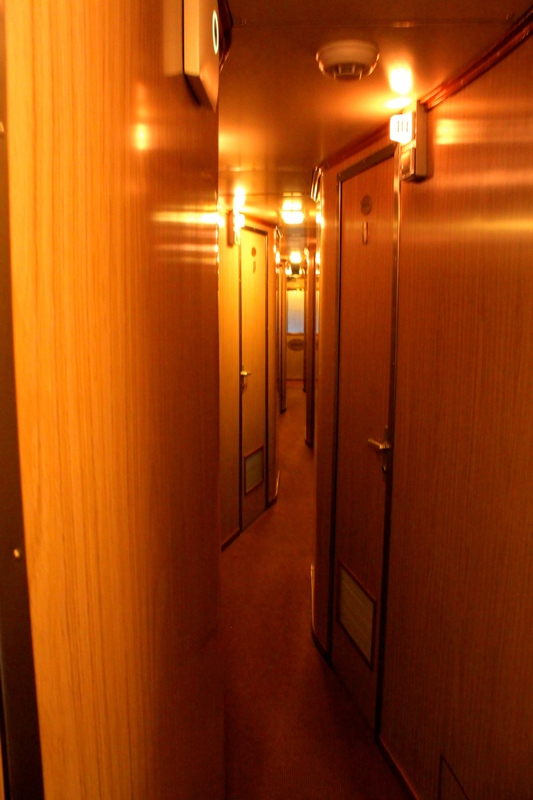 The cabin was small but perfectly formed – along with a very comfortable armchair, you have some small cupboards, a sink with mirror, a full length mirror, a coffee table and a foot rest. All this in a space of approximately 1 metre by 2 metres. Gold service is all inclusive so we all headed off for lunch at 1.30pm in the Queen Adelaide restaurant car for a two course extravaganza. The food was delicious (I had steak followed by lemon meringue pie) and due to space, everyone just sits together. I was around 50 years younger than everyone else 🙂 but they were all lovely, mostly Australian retirees. After lunch we retired to the lounge and watched the scenery go by. There are a few points of interest along the journey and when we were getting near one, the driver announced over the tannoy when to look out of the window. 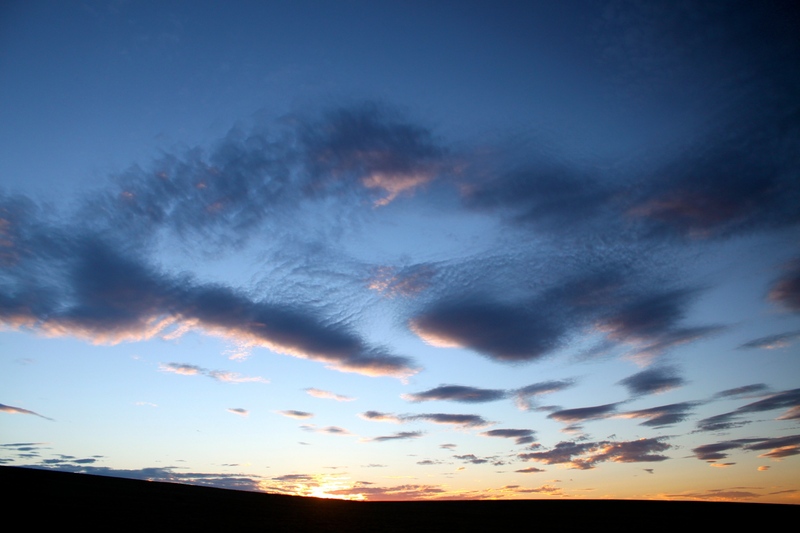 By early evening we had travelled up the coastline, passing the Snowtown Wind Farms, reaching Port Augusta. The Spencer Gulf narrows right up in to the land creating a natural port and jetty. From there the Flinders Range began and as we hurtled along, it was a spectacular sunset over the reddening land and mountains. I had another huge dinner in the restaurant car before heading back to my cabin for the night. While you are having dinner, the housekeeping staff turndown the bed and leave a little chocolate on your pillow – very civilised darling! 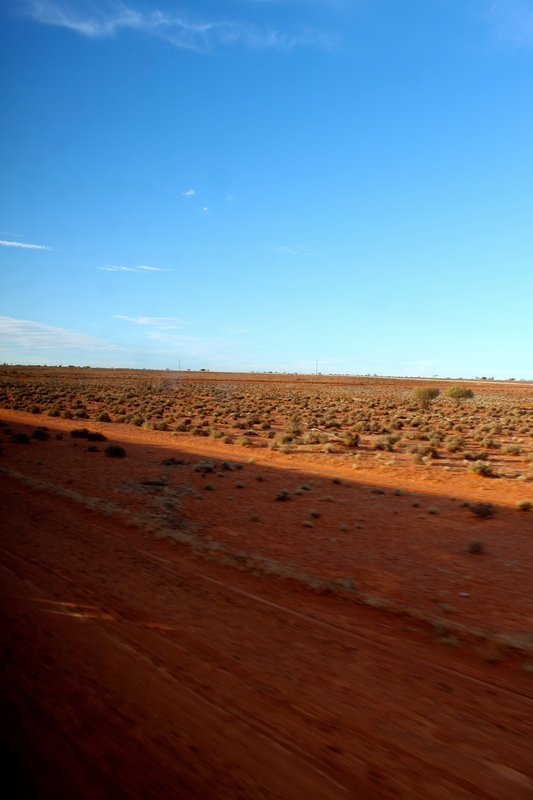 Waking up this morning, the land was dead flat with orangey red soil and loads of thorny looking desert plants and trees. 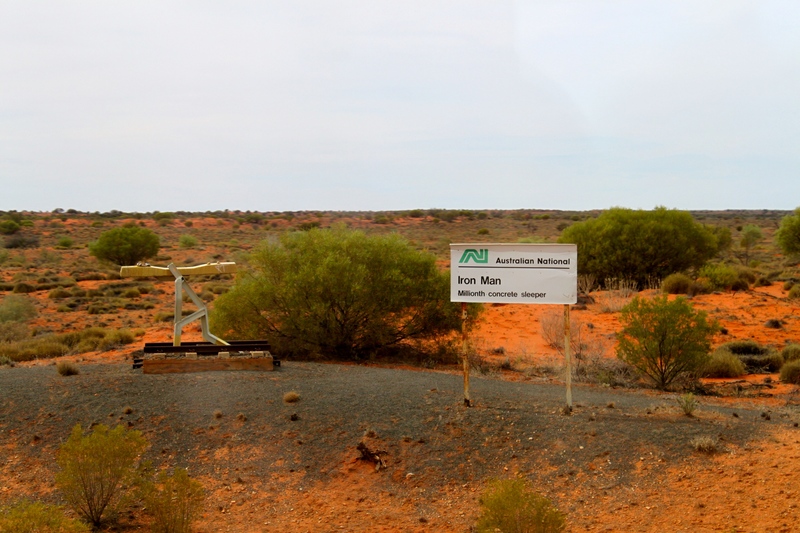 It stayed like this until we arrived in Alice Springs on schedule at 1.45pm, apart from a couple of photo opportunities. The first was the Iron Man, a small monument to mark the one millionth concrete sleeper laid. 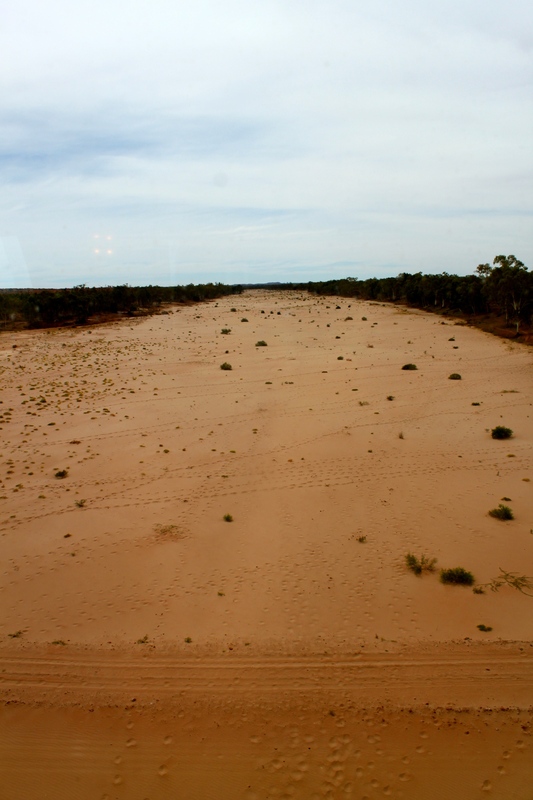 The second was the Finke River – it’s completely dry for most of the time but becomes a raging torrent after the winter rains. 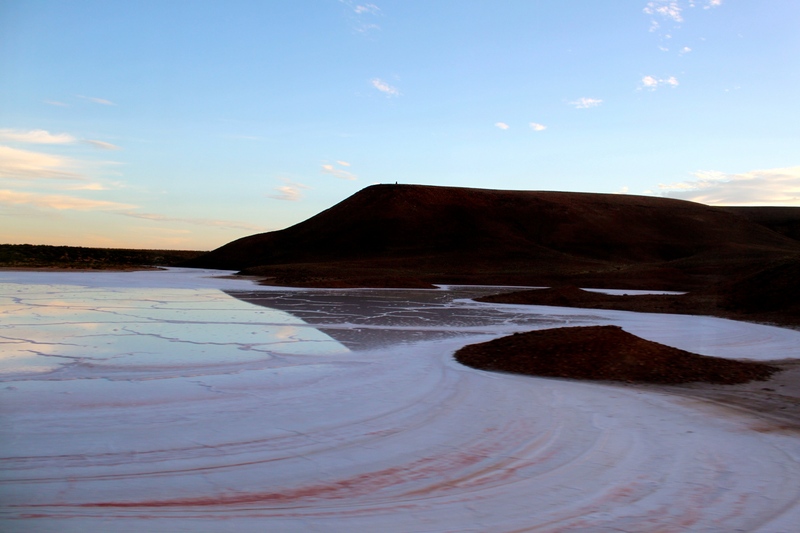 It’s said to be one of the oldest rivers in the world, established 30 million years ago and is unique in that it starts and ends in the desert. 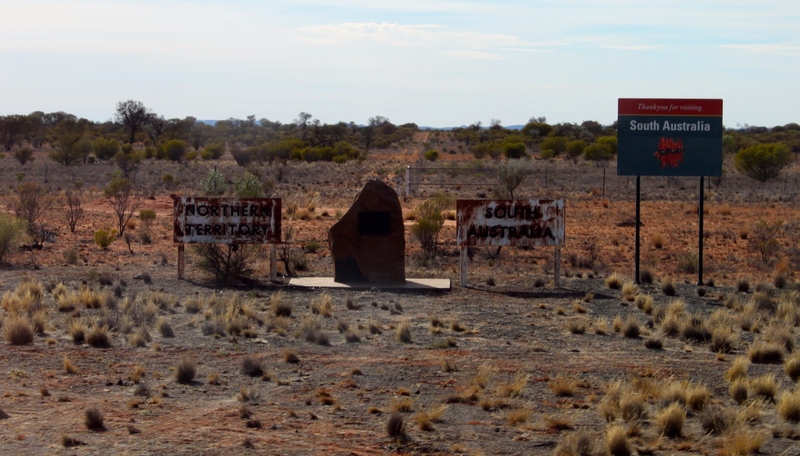 I disembarked at Alice Springs and now have to wait a week for the leg to Darwin next Monday. So in the meantime, what else is there to do – except go walkabout, mate!